Welcome to Shark Week - Day 4! 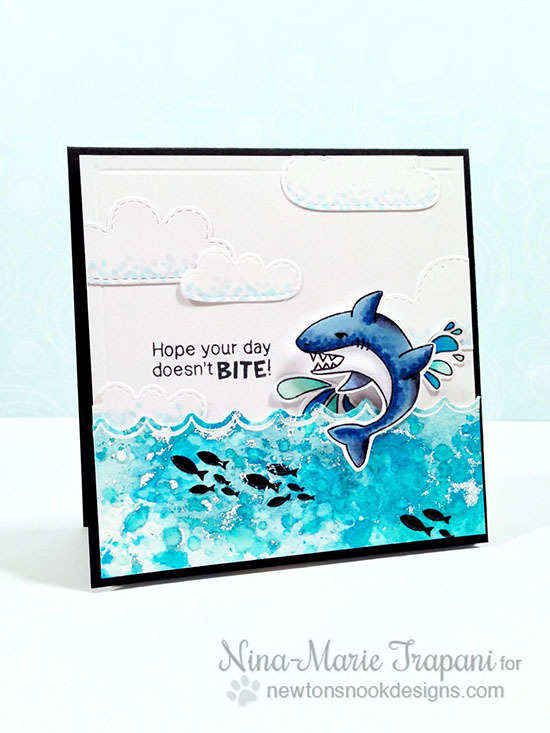 Are you ready for some MORE sharky inspiration using our new SHARK BITES stamp set? Today we're featuring projects from Nina-Marie and Stephanie! First up is this fantastic card by Nina-Marie! I LOVE the water scene she created! Check out the fun texture on those waves! And the Shark jumping out is super fun! Nina-Marie also has a fun video showing her technique on youtube - you can watch it here. Next is this smiley shark birthday card by Stephanie! This card by Stephanie! is so much fun! I love the bright colors (orange and blue together are one of my favorite summer color combos) and the added twine reminds me of nautical rope! Such a cheery birthday card! Wow! These are awesome creations!! Love what they've done with this set!! So sad I missed out on the special price for this set! :( I knew I should've just got it the first day! !